Brain stiffness plays an important role in neuronal development and disease, but reported stiffness values vary significantly for different species, for different brains, and even for different regions within the same brain. Despite extensive research throughout the past decade, the mechanistic origin of these stiffness variations remains elusive. Here we show that brain tissue stiffness is correlated to the underlying tissue microstructure and directly proportional to the local myelin content. In 116 indentation tests of six freshly harvested bovine brains, we found that the cerebral stiffnesses of 1.33±0.63 kPa in white matter and 0.68±0.20 kPa in gray matter were significantly different (p<0.01). Strikingly, while the inter-specimen variation was rather moderate, the minimum and maximum cerebral white matter stiffnesses of 0.59±0.19 kPa and 2.36±0.64 kPa in each brain varied by a factor of four on average. To provide a mechanistic interpretation for this variation, we performed a histological characterization of the tested brain regions. We stained the samples with haematoxylin and eosin and luxol fast blue and quantified the local myelin content using image analysis. Interestingly, we found that the cerebral white matter stiffness increased with increasing myelin content, from 0.72kPa at a myelin content of 64% to 2.45kPa at a myelin content of 89%, with a Pearson correlation coefficient of ρ=0.91 (p<0.01). This direct correlation could have significant neurological implications. During development, our results could help explain why immature, incompletely myelinated brains are softer than mature, myelinated brains and more vulnerable to mechanical insult as evident, for example, in shaken baby syndrome. 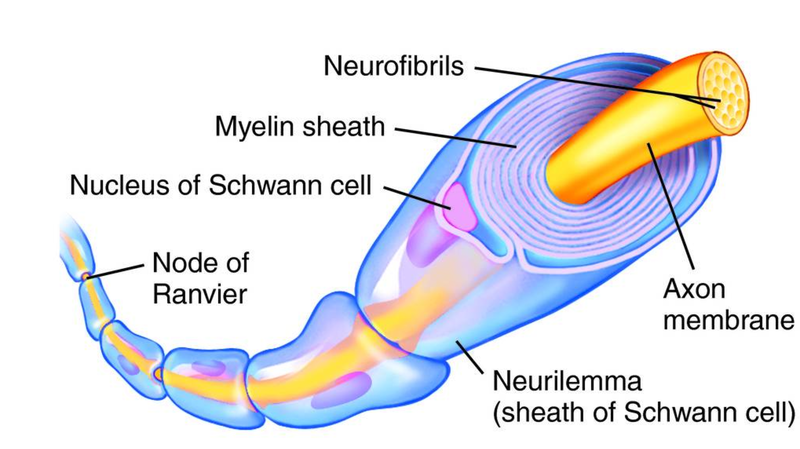 During demyelinating disease, our findings suggest to use stiffness alterations as clinical markers for demyelination to quantify the onset of disease progression, for example, in multiple sclerosis. Taken together, our study indicates that myelin might play a more important function than previously thought: It not only insulates signal propagation and improves electrical function of single axons, it also provides structural support and mechanical stiffness to the brain as a whole. The title of this post suggests it might be the silly season on the Blogspot. The content does not.